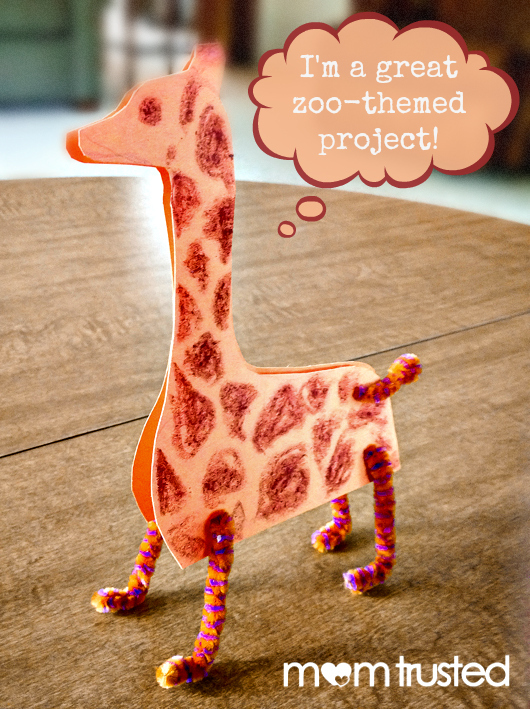 Here’s a project to do before or after your next zoo trip. You’ll need: paper, scissors, a hole punch, pipe cleaners, and this printable. 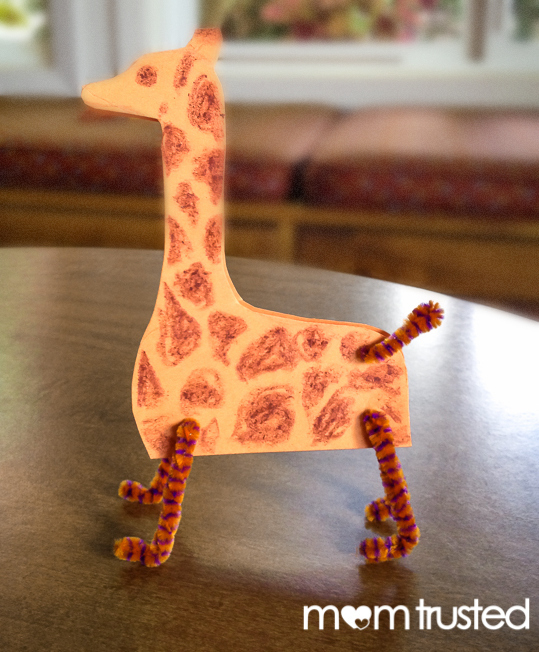 You can print the giraffe-printable on colored paper or print it out and use it to trace onto construction paper. If tracing, fold the paper in half widthwise first and make sure the top of the horn is on the fold. 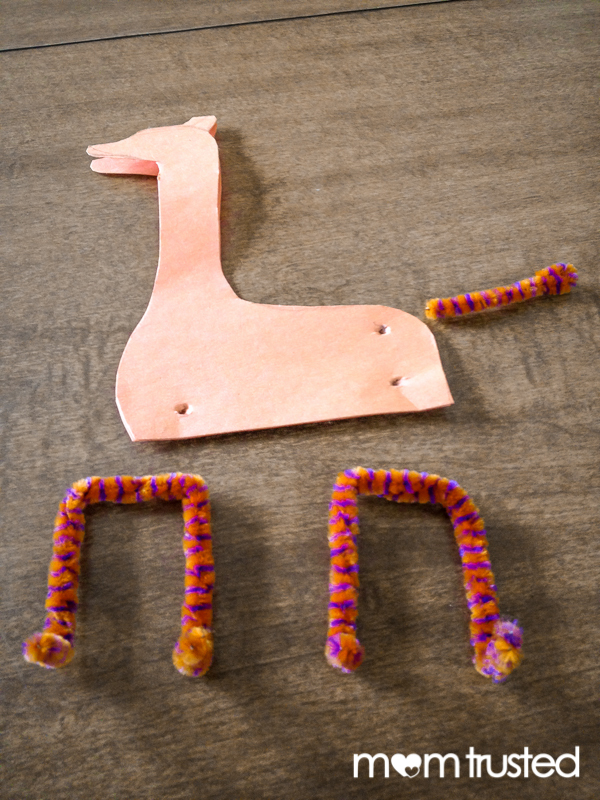 Your giraffe body will be made of two pieces connected at the top. 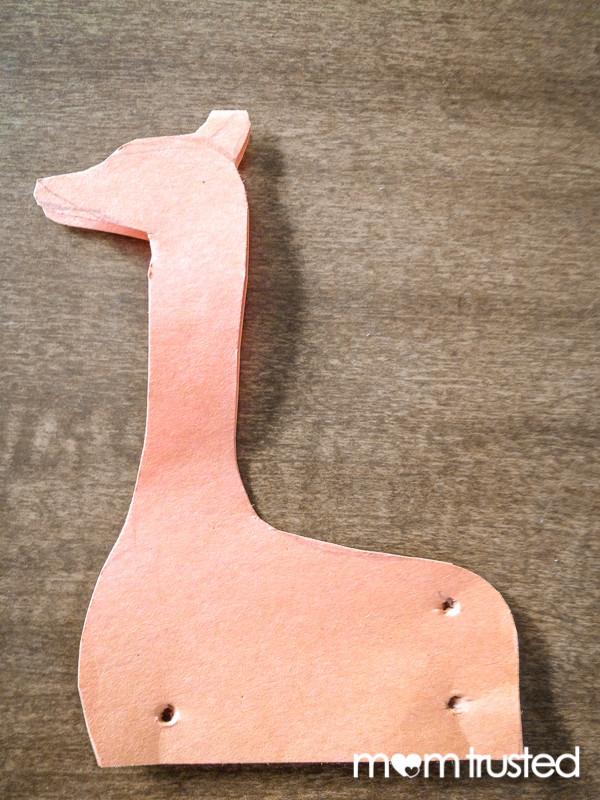 Cut out the giraffe shape and punch holes for the legs and tail. Make the legs: for each leg, fold a pipe cleaner in half and twist it around itself. Then form it into three sides of a rectangle and bend the ends out for feet, as shown. For the tail, cut a small piece of pipe cleaner and make a loop at the end. Color the body as desired. Push the legs and tail through the holes. Spread the giraffe apart about 1/2 inch on the bottom. It should be able to stand on its own. Fun facts: Giraffes have the same number of bones in their necks as we do, and their tongues are black.